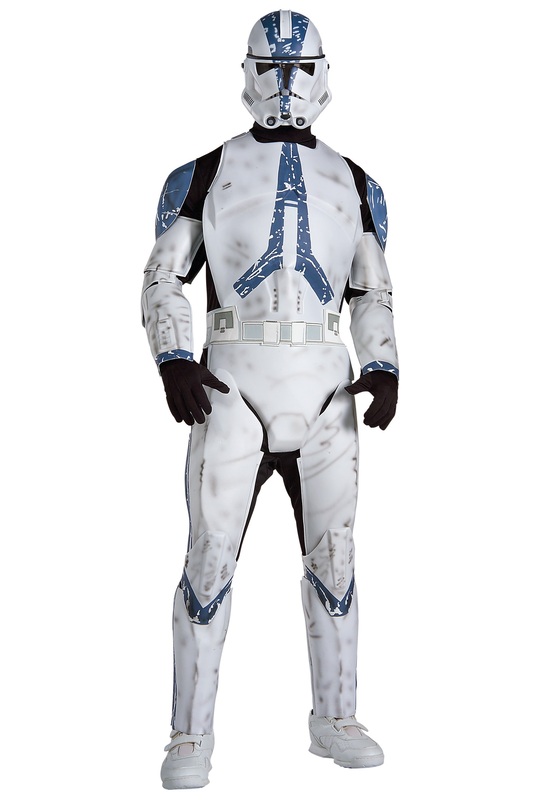 This official Deluxe Clone Trooper Costume offers Star Wars fans a chance to don awesome white body armor like Imperial stormtroopers without taking on all the baggage of being another faceless baddie bent on galactic conquest! Although by the time the credits roll at the end of Episode III, it gets a lot harder to claim that the Republic still holds the moral high ground. Uh, maybe we should have said spoiler alert? Well, what’s done is done. Not even a Sith lord can un-execute Order 66! But if the thought of extinguishing the Jedi order makes you a little queasy, don’t fret. You can still wear this great-looking uniform! And if you want to keep a clear conscious, you just need to find a clever way of asserting your complicated relationship to the governing body that you serve. We’re not just talking about a wacky haircut or a bunch of facial tattoos that will make you stand out from all your clone brothers, although that could certainly be a part of the fun. We were thinking about something a little edgier—something that would really get to Emperor Palpatine and his puppets in the senate.